GB: It's good to hear from you again, Leonard! What have you been up to since the closure of Troika Games and how did you wind up being the lead world designer on Diablo III? Leonard: It's good to be back to a place where I can be heard from, especially working on this project. After Troika closed, I took a year off to recover from severe burnout. I wasn't sure I wanted to work in games anymore and began to get my art portfolio together to possibly pursue freelance illustration work. While that was enjoyable, I found that I missed designing games and working with a team. And when Blizzard asks if you want to work on the story and RPG elements for the next Diablo game, that's hard to turn down. GB: What are your responsibilities on the Diablo III team? What do your day-to-day activities consist of? Leonard: Officially, I am responsible for expanding the lore and world of the Diablo universe and helping to create the story for Diablo III. As far as my day-to-day work, I work on quests, write lore, work with the cinematics department to plan out our movies, make sure our RPG vision is being implemented -- basically, I work on anything and everything design-related that doesn't have to do with numbers or game balance. GB: Why was the decision made to keep the isometric viewpoint of the original Diablos and was there ever any doubt or discussion on using the same camera scheme in today's market? What are the advantages and disadvantages of using an isometric viewpoint for a game like Diablo III? Leonard: There was never any question that we'd be using the isometric view. The advantages for this camera angle are many: It is the established camera angle for the series; we want our game to expand and improve on the classic Diablo feel, which is irrevocably tied to isometric gameplay; and we are able to create art specifically for that camera angle, which allows us to place polygons and textures strategically, so our game looks great and highly detailed while also running well on a wide range of systems. I suppose one possible disadvantage is that it is harder to involve the player on an emotional level for scripted scenes, because the characters are small and aren't in the player's face like they are from other camera angles -- but that's what we have our cinematics for. GB: Do you think the switch to a fully 3D engine was absolutely necessary? What challenges, limitations, and opportunities does the switch from 2D to 3D present? Leonard: The switch was absolutely necessary for us to make the game we wanted to make. Current technology is geared towards 3D optimization, so we get to use that power, which in turn allows us to have better animations, more detailed art, and better gameplay because of things like physics. The main challenge is to retain the feel of the classic Diablo games while expanding into 3D. GB: Since you're working on a franchise that many members of the development team did not originally work on, how important is it to study and remain relatively close to the work done on the first two games? Leonard: I think it's very important to really look at what has gone before and honor it and capture its flavor. If you're going to change something, you'd better have a good reason. I'm only talking about lore and the world here -- every game series is expected to iterate and improve on controls, skill systems, and so on for every sequel. I think above all, tone is important. People like Diablo for certain reasons; we have that overall feel at the core of the game and are expanding from there in a logical direction. We actually have quite a few people from Blizzard North on the team -- our lead programmer, animator, and concept artist are all from Blizzard North, for example -- and I work closely with Chris Metzen, Blizzard's senior vice president of creative development, who has been involved in the story of the Diablo series from the very beginning. GB: Tell us about a few of the more important ways you intend to expand Diablo III's RPG elements compared to the previous iterations. How do you ensure that expanding on the RPG aspect of Diablo III won't interfere with the core hack & slash experience? Leonard: The RPG elements we're focusing on developing more this time around are in the areas of story and character development. We really want you to feel like you can have an effect on the world -- and that the world can affect your character in turn. In the past, action-RPGs have either come down on the side of action or RPG, and we don't think that's a choice that necessarily has to be made. Our goal is to make the RPG-style story elements more engaging than they previously have been in the action-RPG genre. The main way we do this without interfering with the hack-and-slash gameplay is by making it opt-in -- if you don't care about the story, or if you're replaying the game and have already seen the story elements, the game will still be fun, but if you do care about it, the story will bring a whole extra level of involvement to the game experience. A central feature of this philosophy is making as few quests as possible mandatory, but having a wide variety of interesting side quests and random quests to play through if you want to. We are also doing a lot with scripted sequences and books that you can read in the game, but once again, you can completely avoid these things if they don't interest you. GB: You've talked about fleshing out the game's NPCs more than we've seen in the past. Does that also mean more interactivity with NPCs or does the game still utilize the one-sided monologue method of its predecessors? Can you expand further on the dialogue system for us? Leonard: We're using dialogues instead of monologues for a few reasons. For one, compared to constant NPC monologues, dialogues are more interesting for players to hear and more interesting for us to write. It also allows us to have the player drive the action and not be a pawn at the mercy of the NPCs in the game. We really want to develop the player characters as distinct in their own right and show how they view and interact with the world differently from each other. Something else we're expanding on is how characters in the world, both player and non-player, change over the course of the story. GB: There's a strong sense of closure at the end of Diablo II: Lord of Destruction. There may be a few openings, like the destruction of the Worldstone, but how are you transitioning from such a climactic conclusion to a whole new adventure? GB: Give us a quick overview of Diablo III's storyline and briefly explain how the game's narrative density compares to the previous iterations. Is there less, as much, or more story for us to digest this time around? Leonard: We're concentrating more on the story this time around, but not at the expense of the action. One of our main goals is to not force the story on the player -- it's there if the player wants it. It's our job to make the player want it, and to make the player want to search out more and more aspects of it. In that respect, I'd say there's a lot more depth, though maybe not more story per se. There was a fairly complex story in Diablo and Diablo II, but some of the important details were found only in the manuals or, in some cases, not filled in at all. Now we're putting it all in the game for those who want to look -- except for things we just want to taunt the player with, of course . 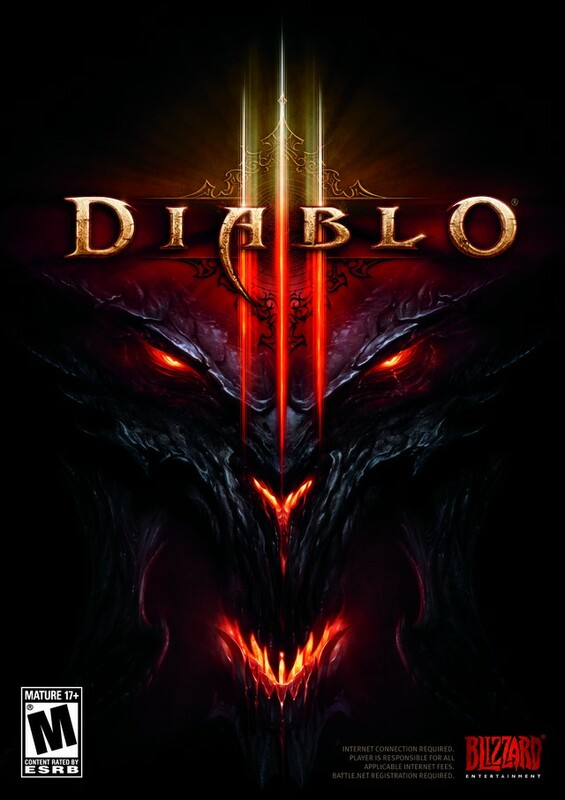 The storyline for Diablo III takes place 20 years after the events of Diablo II: Lord of Destruction. Neither the Burning Hells nor the High Heavens have been heard from in any significant way in all those years, and Deckard Cain finds this concerning, to say the least. He is certain that Hell is going to invade at any moment, and he is determined to be prepared this time. He's doing this by gathering as much information from around the world as he can, trying to find ways to defeat the demons. The rest of the world, however, is in denial about all of this and doesn't want to hear Cain's crazy theories. When our game starts, Deckard has returned to Tristram in his search for knowledge, and he is inside the old cathedral from the first Diablo game when a fireball from the sky crashes into it. GB: What else stands out to you as being unique to Diablo III (as compared to the first two games)? Are there any plans to introduce non-combat skills? How about exotic armor or weapons we haven't seen before? Leonard: At its heart, Diablo III is all about combat -- there will be no non-combat skills. I can't really talk about exotic armor or weapons at this point, but in the future we'll update our website with details on that stuff and more as we progress.